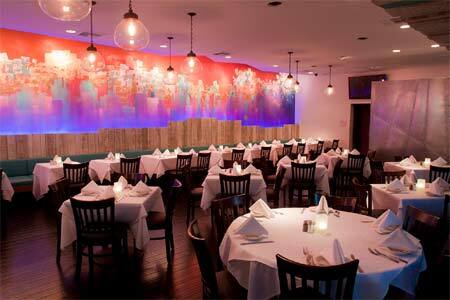 Westwood is home to a location of Vicente Del Rio's modern Mexican restaurant. Open Mon.-Thurs. 11 a.m.-10 p.m., Fri.-Sat. 11 a.m.-10:30 p.m., Sun. 10 a.m.-9 p.m.
: Westwood is home to a spin-off location of Frida Mexican Cuisine, Vicente Del Rio's modern Mexican restaurant that originated in Beverly Hills. Take a seat in the colorful interior or out on the shaded patio. Lunch specials include burritos, tacos and chile relleno. Dinner finds a sampling of four moles over chicken, grilled fish marinated in a three-chile sauce, and prawns in a garlic-white wine sauce. Other locations.